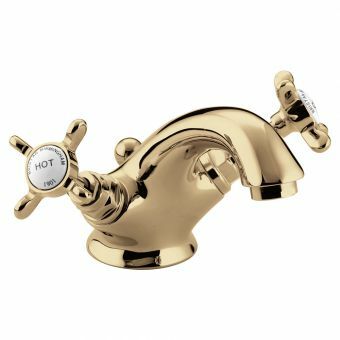 This sleek, stylish bidet mixer will look perfect in any Victorian styled bathroom and is an elegant and classy way to update your bathroom. 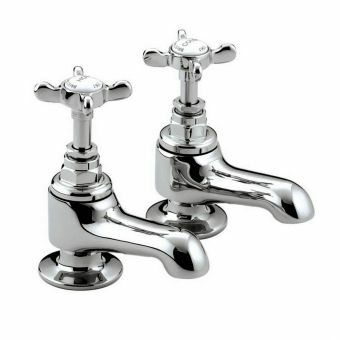 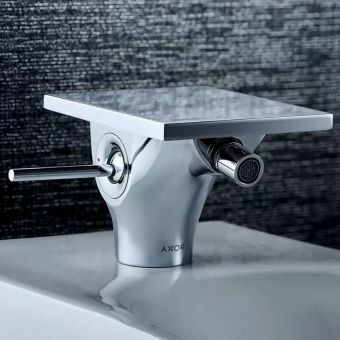 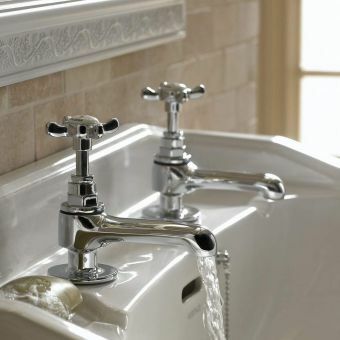 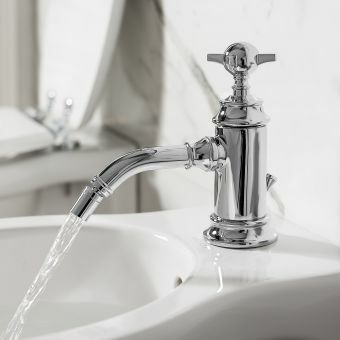 The popularity of the bidet grows month by month so having the ability to match it to an equally classy tap set is definitely a requirement of a bathroom refurb. 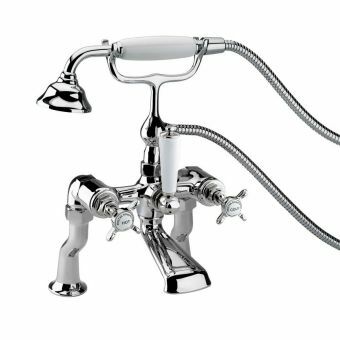 With a single, central spout flanked by two angled crosshead controls, you can easily set it to the required temperature with the minimum of fuss. 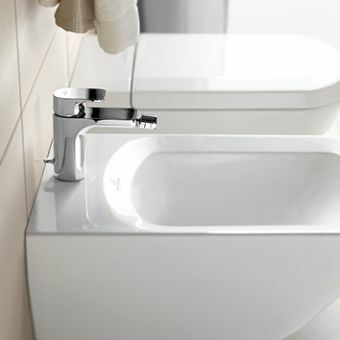 A nice feature is the included pop-up waste set with a simple rod connection that is controlled from the back of the main body, one less thing you will have to buy. 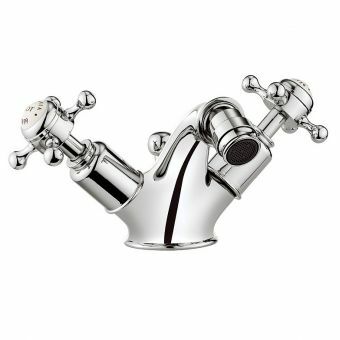 Each tap has Bristan's trademark logo stamped into the white ceramic indices tapering down to a wide base that will cover the tap hole with room to spare. 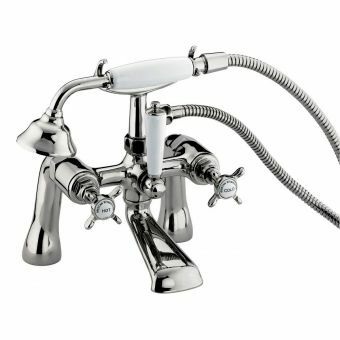 The gently curving spout terminates in an adjustable swivel nozzle which allows total control over direction and water delivery. 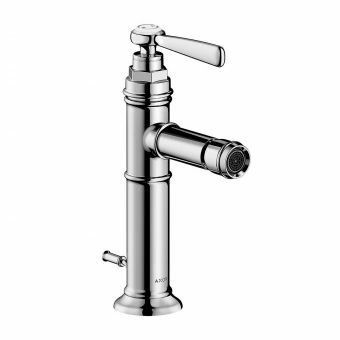 In addition, its built-in aerator gives you a soft embracing water flow that is easy on your skin. 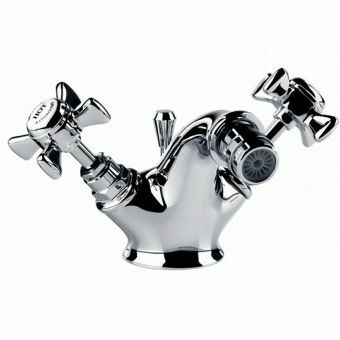 Standard pipe connections of 1/2 inch allow for a swift hook up to pipework and with the ability to work from low or high-pressure water systems, it is a truly universal piece. 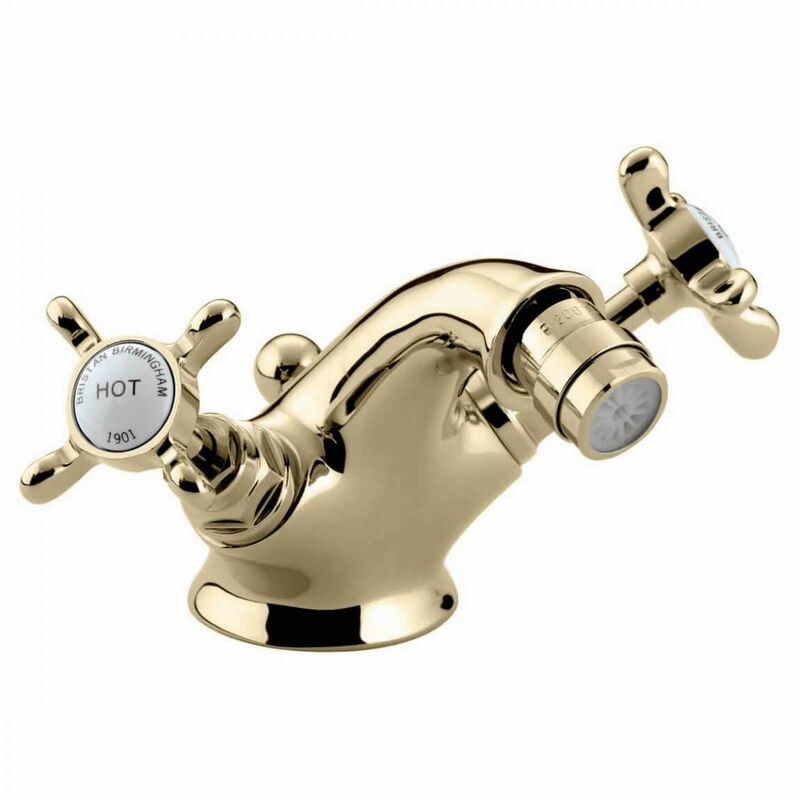 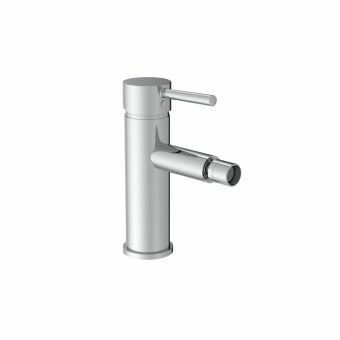 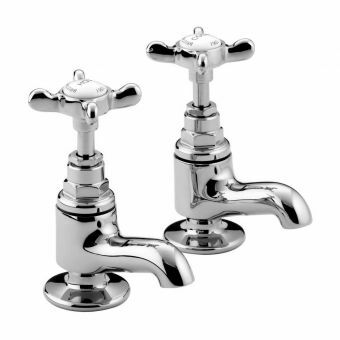 This delightful bathroom accessory can be specified in traditional chrome or elegant gold finishes.